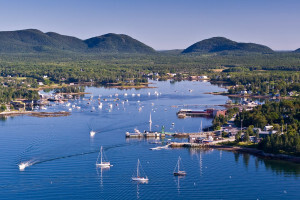 Hiking a popular trail up Champlain Mountain in Acadia National Park offers the outdoor enthusiast plenty of opportunities for scenic views of Maine’s beauty, exceptional wildlife watching and great exercise. 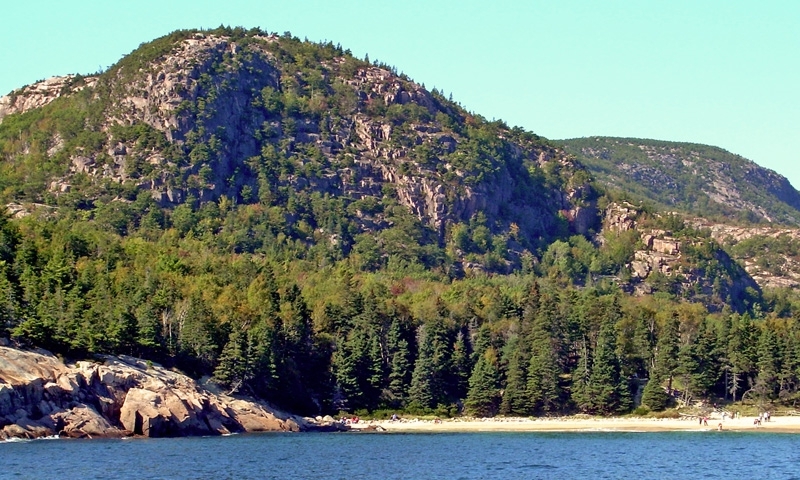 Champlain Mountain Acadia is one those popular places to hike that provides the explorer the chance to enjoy a trek up staircases of rock, a steep pink granite ascent. Ocean views await you at the top. 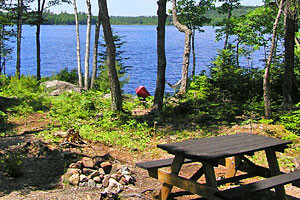 Catch a glimpse of the nesting peregrine falcons and an active beaver pond. Bring your binoculars so you can see porpoises and seals and perhaps some whales in Frenchman Bay. The trail to the top of Champlain Mountain Maine begins at the Beachcroft Trailhead. From Bar Harbor, drive on Maine Highway 3 towards Acadia National Park. After about 2 miles, you’ll find parking on the left, across the road from the trailhead. 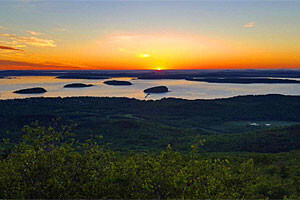 The best time to visit Champlain Mountain Desert Island is in the summer or early fall. Pack good shoes for the climb, and take plenty of water to keep hydrated. If going in wet weather, remember that the rocks on the steep section off the trail can get slippery when wet. If you don’t want to turn around and go back the way you came, you can head west down the Gorham Mountain Trail and at the trailhead take a short walk to a shuttle stop and take the shuttle back to your car.